Today’s author interview is with Matt Abraham, his novel is superhero noir, a supervillain turned PI. I’ve been writing for about ten years, but most of that time I was producing a lot of “blah blah”. It was only in the last three that I’ve produced what I consider well-crafted fiction. I started again because I was tired of stories that were either a redo, sequel, or reboot. I crave originality, like most people I imagine, so I set out to make my own world. I write for a living, but my lifestyle is heavily subsidized by my wife. See next question for a more extensive response. I’m still sort of not one. My wife and I moved to China after she got her Doctorate and we have a baby, so I’m a stay at home dad, which isn’t a particularly lucrative field, but fortunately the cost of living is low here and she’s incredibly supportive. I like to think I was always a good storyteller, but working in the restaurant industry for nearly twenty years definitely helped. Those two decades were a great opportunity to engage people in consistently different ways, and because my income depended on being colorful, evocative, and pleasantly manipulative my communication skills improved. Plus I was around others like me, and watching their performances helped as well. Me fail English? That’s unpossible. But seriously, I was an awful student. Daydreaming is my favorite drug, and any sort of boring lecture sent me chasing the dragon’s tail like St. George himself. So no. I was not a great English student. But I was also a terrible student of Spanish, Japanese, and Mandarin. Join a writers group. More often than not when we see a great artist, athlete, or writer we think they got that way on their own, but behind every individual is a community of people who gave them guidance, help, and encouragement. Plus regular feedback can only strengthen your work, and it’s a good way to build up your armor to criticism. Learn the craft. Everybody with a keyboard thinks they can dive in and create great fiction instinctively, but understanding the three act story structure, MRUs, and proactive VS reactive scenes will make your fiction so much better. When I started writing I thought I could do it without that knowledge, and I created some really undisciplined, hack writing. Now that I’ve spent some time learning the craft I can’t even read my old work. And it’s funny because I run into so many beginners who, like me, rebel at the concept of fitting their work into a model. They say, “I don’t want to know structure, I’m a creative type and structure’s too binding”, but the thing is you never hear an aspiring musician say that. “Notes? I don’t need to learn how to play notes or read music, I’m a creative type, I’ll just hack away on my violin and make something beautiful without a single lesson.” That attitude would produce some terrible music, and it’s the same for writing. More adverbs. Anybody who tells you to add adverbs is not your friend and should be sent into the wilderness far away from our beautiful things. It sounds weird but I don’t write for one person, I write for my story world. I think when you read a novel you rent out a piece of your imagination, and in that space you breathe life into a world that someone else created. It’s a beautiful kind of symbiosis. So yeah, I write for the story world. 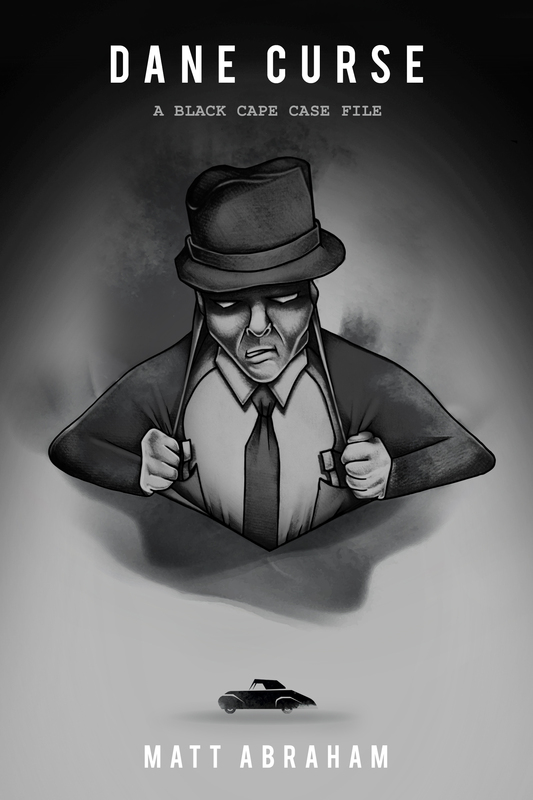 My current project is a mix of DC comics and Raymond Chandler where a former supervillain turned PI takes cases involving black capes, because sometimes even the unjust deserve a little justice. Ugh. My first novel: With Fire is a 500 word train wreck that FEMA couldn’t put right. My second novel, Villain, is the memoirs of the world’s greatest supervillain written as he faces execution for a lifetime of dark deeds (and that story sentence is better than the 300 pages of tripe the book comprises). I do two sets a day, usually after my morning run and then after lunch. Each one’s around two hours long, and is preceded by some music that matches the tone of the scenes I’ll be working on. Exclusively on Amazon, because I’m too real for the bricks and mortar publishers. Or maybe I’m on Amazon because I don’t have a ready made audience for those publishers to sell to. I’m not sure which it is, but it’s definitely one of those. They’re all below, and thanks so much for the opportunity to address your readers!